T-shirt print made in partnership with art collective SHN and Storvo. 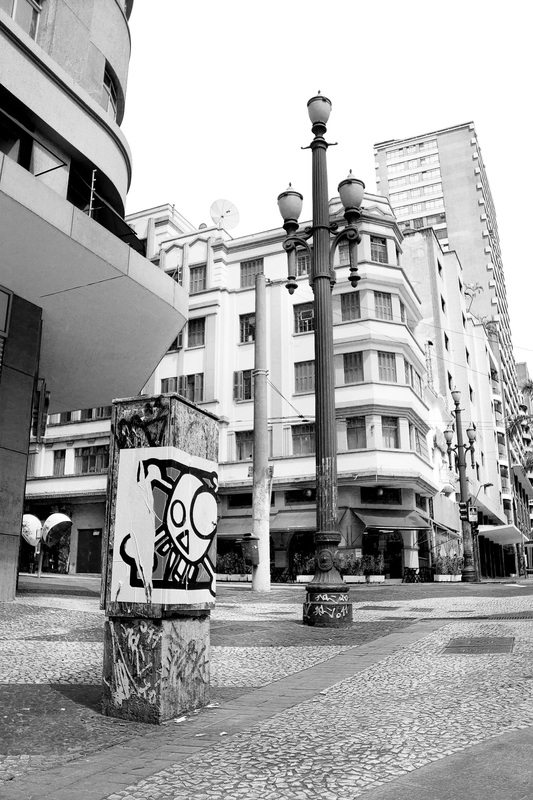 Initially, SHN went to the location in downtown São Paulo and glued the skull poster to the telephone wiring box. I went to the place to photograh and Storvo transformed it on a t-shirt. Later, we've been part of the exhibition "Brand New Blood" at Cartel 011, also in São Paulo. SHN built a site specific scenario with the telephone wiring box in wood and added some props. Photoshopping the correspondent background over it, so it could later be printed and compose the scenario. This photo still made its way on a set of skateboard decks by Nineclouds.